With an arsenal of products to fight for you, keeping your vehicle's interior clean is no longer a difficult task. Husky Liners is a proven leader in custom-fit, all-weather floor protection. Husky's top notch product guarantees only proves that they truly believe in each and every product they manufacture. 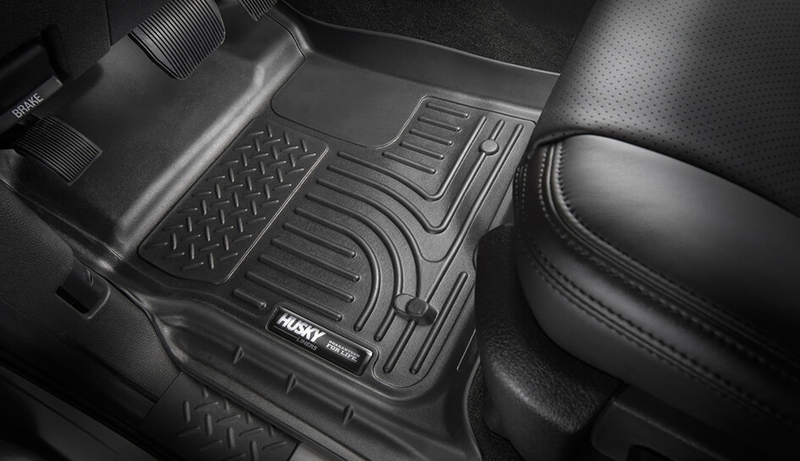 WeatherBeater floor mats are the flagship line of the Husky Liners floor mat arsenal. 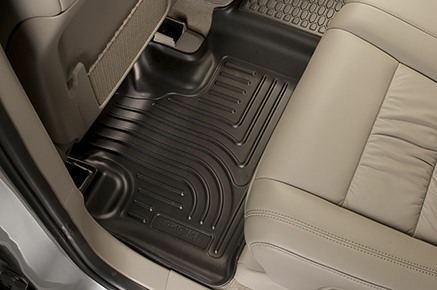 A full-coverage, custom fit option, these mats are built to your vehicle's standards and will give your car the protection it deserves for years. A raised lip helps prevent spills from entering your doorsill and carpet, while nibs on the bottom help prevent your mats from sliding around under your feet. 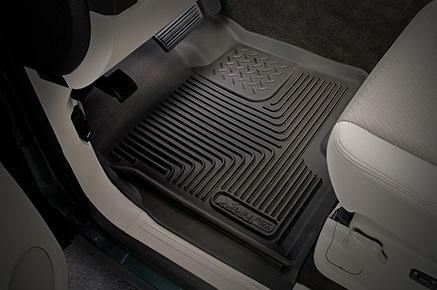 Made only for a select number of vehicles, the Heavy Duty floor liners sport an aggressive design, guaranteeing it not to break or crack even in the most extreme conditions. The driver's side heel pad is extra thick, while the bottom features nibs that keeps your mats in place. Perimeter edges help contain accidental spills, rain, mud and snow. The newest in the Husky Liners floor mat line, these mats work on both vinyl and carpeted floors. These mats have a soft feel to them, with form-fit edges and a rubberized material resistant to most chemicals. The X-Act Contour mats also have a unique texture that causes friction, helping to keep cargo from shifting around. 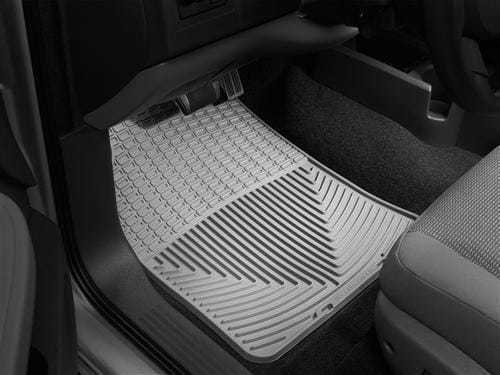 Made for earlier vehicle models, these Classic Style floor mats feature a tray-like design with a diamond-tread pattern. These mats are custom-fit using laser technology, utilize Husky's patented nibs, and form-fit edges to help prevent spills from leaking onto your carpet. These mats come with a Lifetime Guarantee and are available in black, gray or tan. 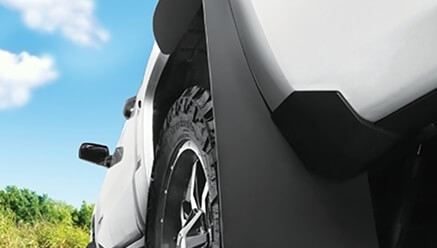 Husky Liners Custom Molded Mud Guards are application and vehicle specific based on the year, make, and model of the automobile. 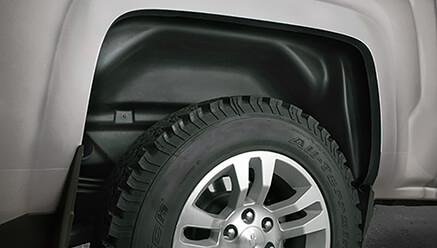 The mud guards are extra wide to accommodate single tires, dual tires and various other tire sizes. The unique design and durable construction exceeds the original equipment standards and specifications. They protect the painted surfaces on your vehicle from damage caused by rocks, stones, and other debris. They are covered by a lifetime warranty. Its solid design ensures you that it can last for a very long time. 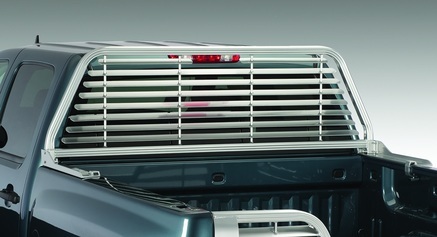 The design also guarantees that it can weather any type of road elements that can cause damage to your truck. 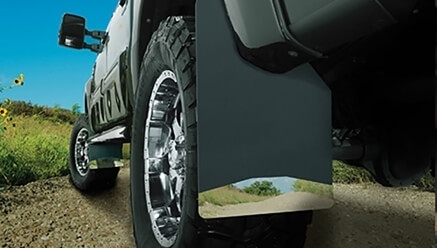 Ideal for trucks that have monster tires, these KickBack Mud Flaps are best to use to protect those big wheels! It also offers additional clearance, giving you added protection. A cross between fender flares and mud flaps. This will provide you the protection you need. You can easily adjust it and it comes in various sizes. Perfect for those who require mud flaps at certain periods only. These will let you remove and install the mud flaps whenever you want to. This can fit on any truck, car, or SUV. 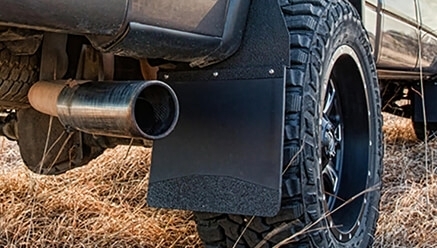 If you can’t find mud flaps that suit your vehicle, then this is the perfect choice for you. It’s very durable and will provide you with the kind of protection that you need. You don’t need to spend a lot of cash just to protect the body of your truck. 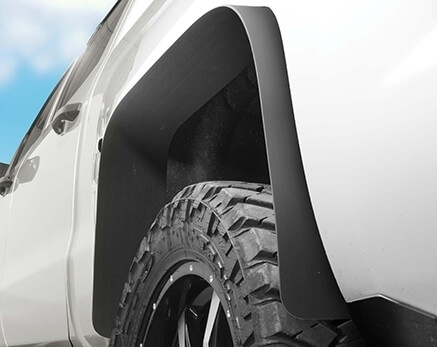 With the help of these fender flares, you are guaranteed utmost protection that will last you for many years to come. 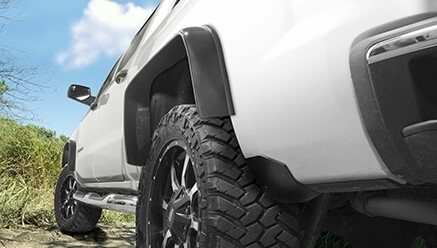 A fender flare that is made out of rubber, which will make your truck look more gnarly and at the same time, give your truck the protection that it needs. 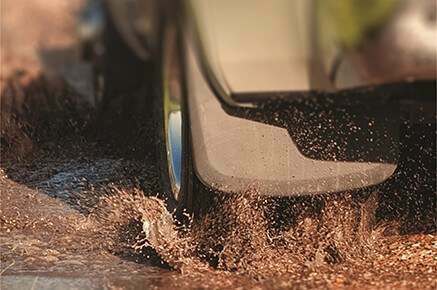 Ideal for those who normally go through muddy pathways, these ensure protection from rocks and other debris that might harm your wheels and your truck. Made from high-quality materials, these wheel well liners can provide you with a smooth & sleek appearance and maximum protection. 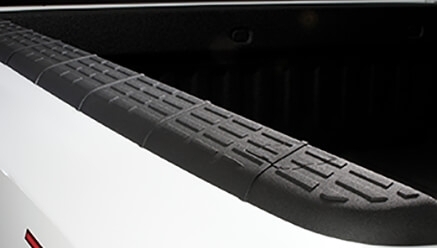 Protect your truck bed rail with these. 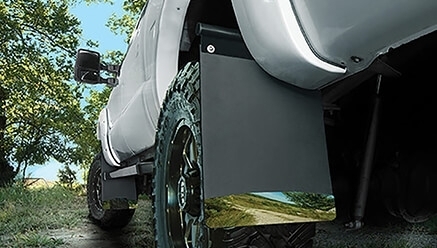 Its rugged and durable design perfectly suits your truck. Adding more character to it and layers of protection like no other makes it a worthy purchase. 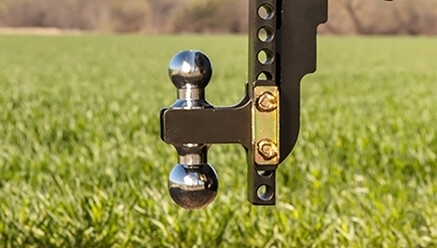 A versatile ball mount, you can adjust it to different towing heights through the use of the Dual Clevis Pin. This allows you to do more hauling! Make sure that you are towing efficiently. 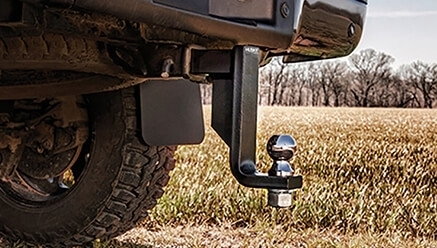 This drop ball mount guarantees you the best hauling experience. 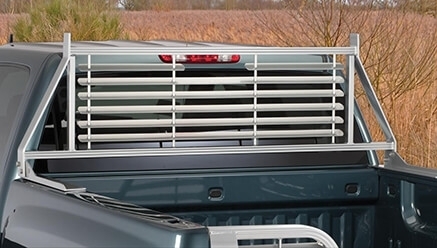 Protect your rear & cabin windows as well as your truck’s interior with this sunshade rack. It gives the right amount of strength that can last you for a long time. Its eco-friendly finish also prevents it from getting damaged from scratches and rust. No need to worry anymore about your truck's rear window. The best protection for it is here. 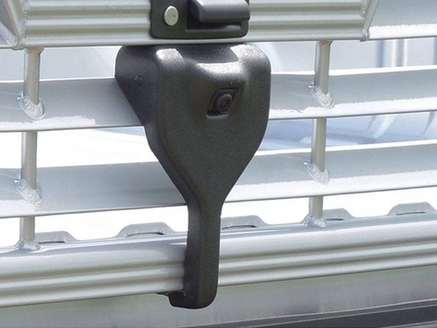 Constructed from tough material, this will keep your window well-protected as well as your truck interiors. 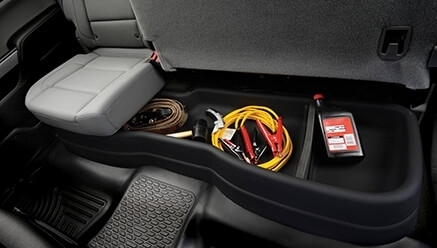 It is also very easy to install making it such a convenience to have for your truck. Keep your tools organized with this gearbox. This perfectly fits under your rear seats, saving you more car space. Made from durable materials and finish, its OEM appearance allows it to perfectly blend with your car interior. 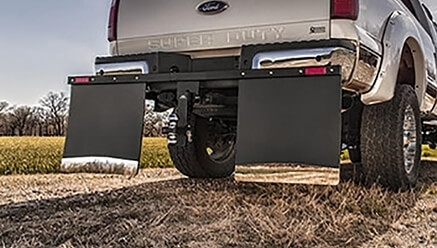 This allows you to mount your back up camera kit to ensure that you get full coverage of your truck’s rear. Having this camera kit gives you more security and protection in the long run. Started in 1988 and based in Kansas, Husky Liners knows what customers are looking for. 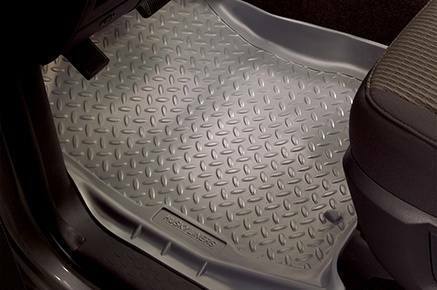 Husky Liners manufactures a variety of floor mat lines, as well mud flaps, tailgates, bed rail caps, and interior storage boxes. Husky excels in customer service and excellence, and is proven to back the products they manufacture. All Husky products are proudly made in the USA. PartCatalog.com is a proud, authorized retailer of all Husky Liners products. For more information on Husky Liners, please visit the Husky Liners official website.